Sometimes it's just hard to tell when you've had that liiiittle bit too much to drink. Now, technology has got your back, before the cops (or worse) have you flat on it. Meet the DrinkMate. As reported by shortlist.com, the device claims to be the smallest Breathalyzer in the world, measuring in at 4.7 by 1.5 centimeters (plus the smartphone you have to dock it to.) It is accurate down to .01% of a BAC (blood-alcohol content) and is a much better judge of whether you should drive than you slapping yourself in the bathroom mirror trying to decide if you're capably lucid. DrinkMate operates similarly to a device previously discussed here, the Alcohoot. However, the DrinkMate is smaller and is priced significantly less ($25.95 as opposed to the Alcohoot's $99.) Now you can drink safely and still have plenty of money left over to buy your friends a round. 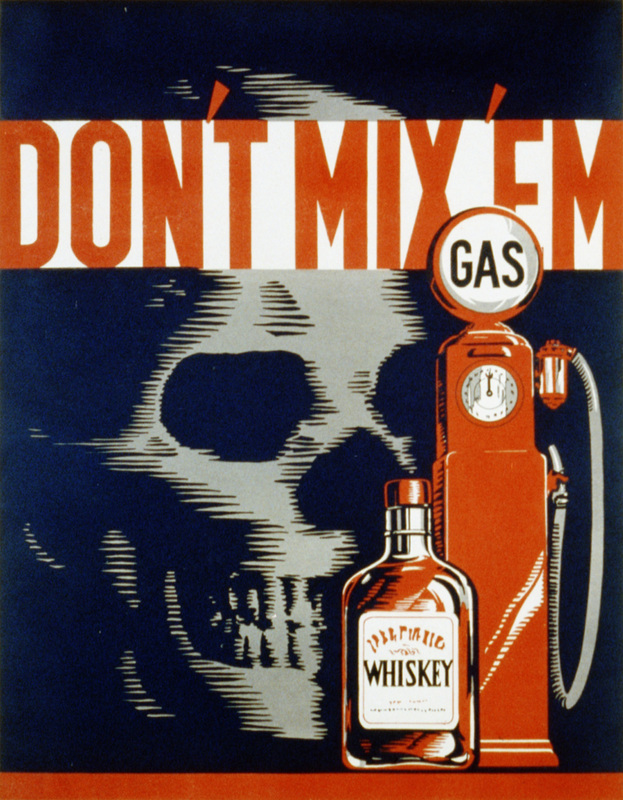 Cool, spooky, stern-warning posters from the past not included, so we'll leave one here for you.